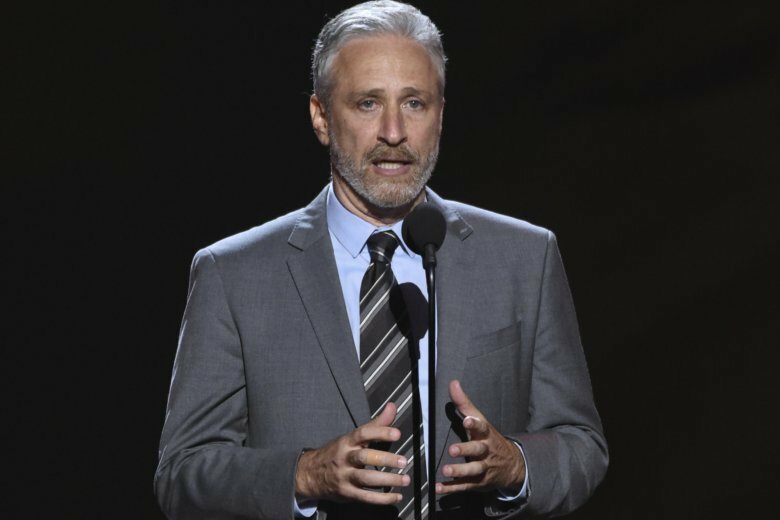 RED BANK, N.J. (AP) — Comedian and former “Daily Show” host Jon Stewart has surprised construction workers at a New Jersey performing arts theater with a free lunch. Stewart appeared behind the window of the Shore Good Eats food truck outside the Count Basie Center of the Arts in Red Bank Wednesday afternoon, handing out sandwiches and cookies. The theater is in the midst of a $26 million expansion project. The project includes adding an arts and education building, a second performance space and updated heating systems. Construction on the project is expected to be completed by 2019.